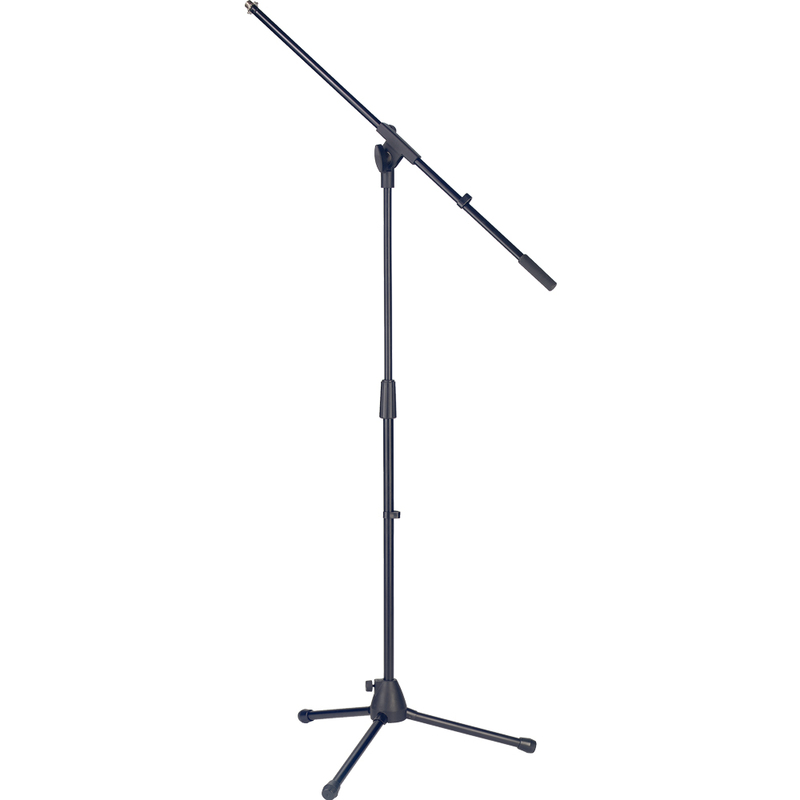 The Stagg MIS-0722BK microphone stand is of a strong metal construction with nylon connecting parts. The stable tripod bass in constructed from nylon with metal reinforcements and can fold down flat for easy transportation. The stand is also height and angle adjustable and features ergonomically designed textured grips, a universal mic clip, cable organiser clips and a scratch resistant powder coating.